Drinking water is one great way to beat the heat in the warm, dry climates, and to keep you hydrated and prevent dry skin. You probably have experienced dry skin at one point or another. Thankfully, treating dry skin isn't that difficult, and you can all start from within. You know how vital water is to diet and health, but drinking a lot of water can prevent and treat dry skin. Your skin protects your body from various toxins and diseases, as well as from the elements. Drinking water is a great way to support your overall health and wellness. And while many doctors used to recommend drinking eight, eight-ounce glasses of water a day, this has been dismissed recently. According to the U.S. Department of Agriculture, Americans each drink 3.9 cups a water per day. You only need the water that is required of you to stay hydrated. More importantly, your water intake depends on your body type, overall health and other factors. You may think it's hard to get enough water throughout the day, but there are many ways to make it easy. Keeping a glass or water bottle with you throughout the day will help you remember. Try keeping a timer on your watch or phone for every few hours to remind you. If you're suffering from dry skin, hydrating from the inside out is key for treating the problem and keeping it from coming back. Unfortunately, drinking water alone will not rid you of dry skin and the issues that come along with it. You'll need to pair this with other remedies that treat your skin directly to receive the results you're looking for. But staying hydrated is always number one, and drinking water is the best way to do it. 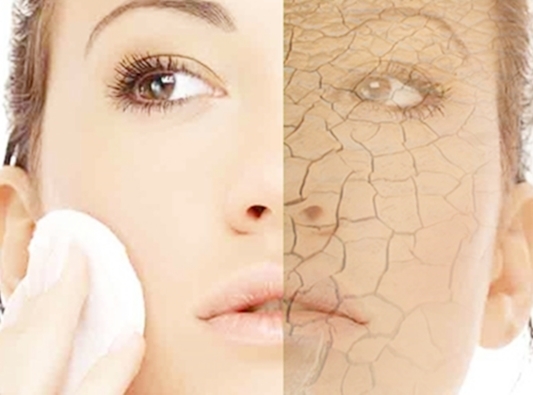 Suffering from dry skin is not a walk in the park, but you can prevent and treat it. Following some simple steps and staying on top of the problem can help keep it at bay.